The local paper picked up the story! 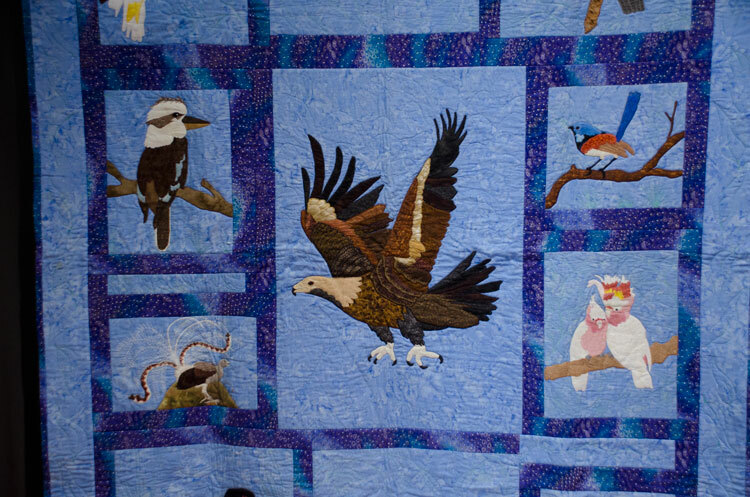 RCGW were to run a quilt show. 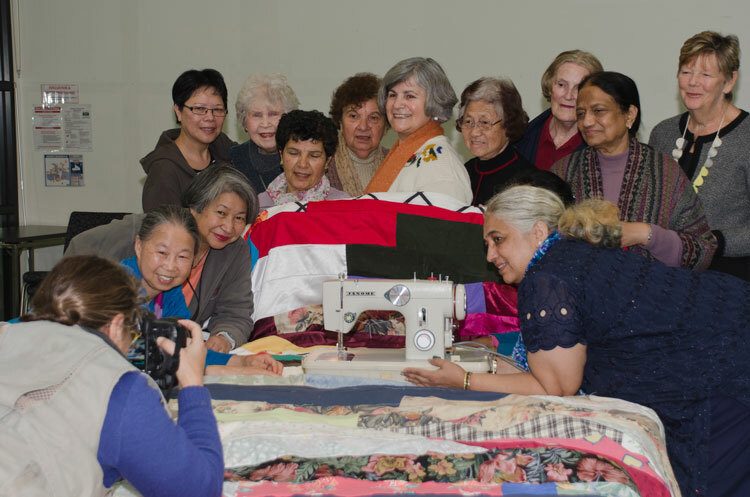 The proceeds were to go 'Women Building Bridges': a local group who help newly-arrived and refugee women to integrate into Australian society. They sent along a photographer and the story made the press. This was wonderful for boosting attendance. The standard of exhibits was extremely high. 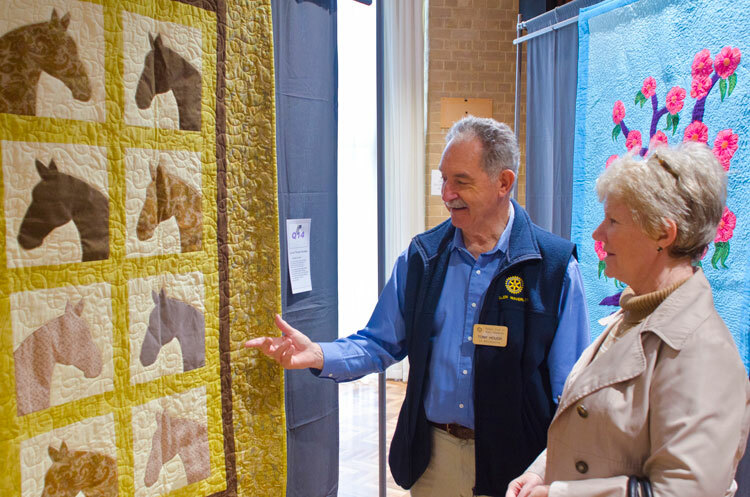 Here one of the visitors looks in amazement at the Gallipolli Quilt which commemorates the 8,700 Australians who died there. 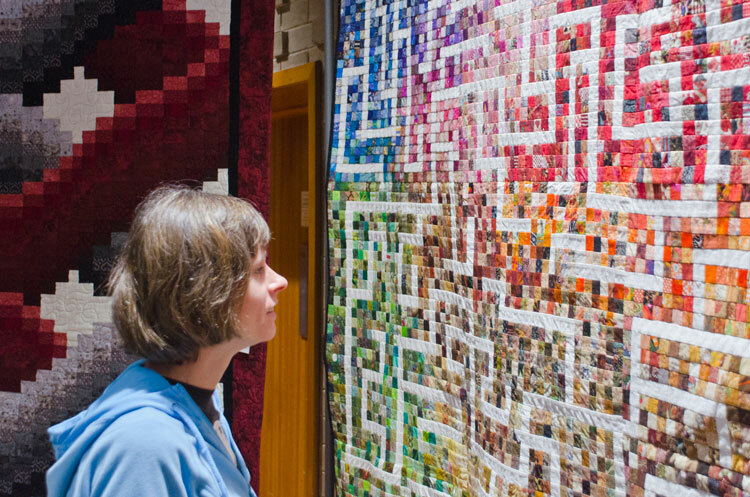 The concept of this quilt is breath-taking and the cleverness of the thought behind it is very impressive. 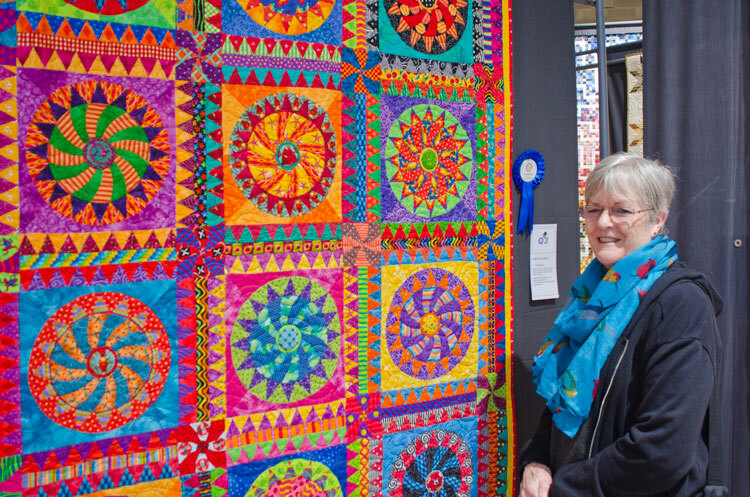 Other exhibits celebrated the colour, joy and craft of quilting. 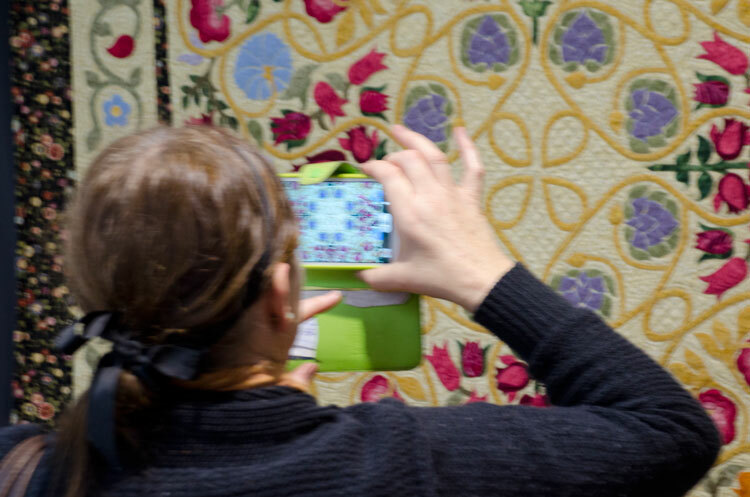 This one, especially, drew admiration from the vibrant colours and expression of 'joie de vivre'. Other exhibits celebrated a love of flowers or birds or, in this case, horses. The exhibition organisers were very pleased to reach their target in fund raising and 'Women Building Bridges' were very pleased to receive it.